Lot 155 C/I Oval Steam Locomotive Worksplate. 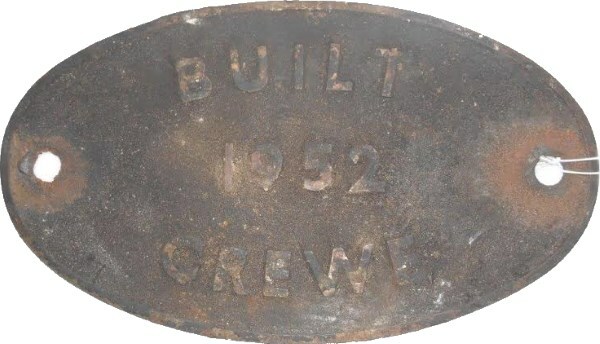 "BUILT 1952 CREWE". Size 10" X 6". Ex Loco condition.